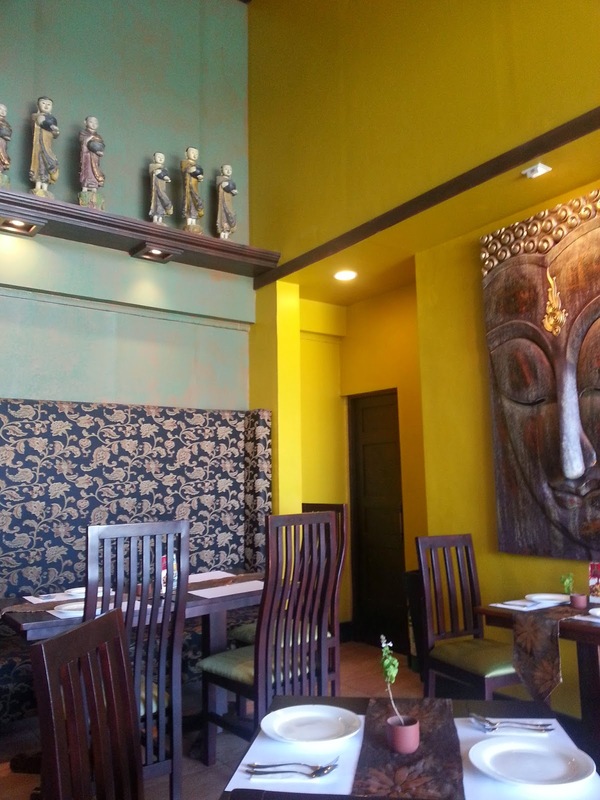 I was invited to do a food review of this Thai restaurant located in Molito, Alabang. 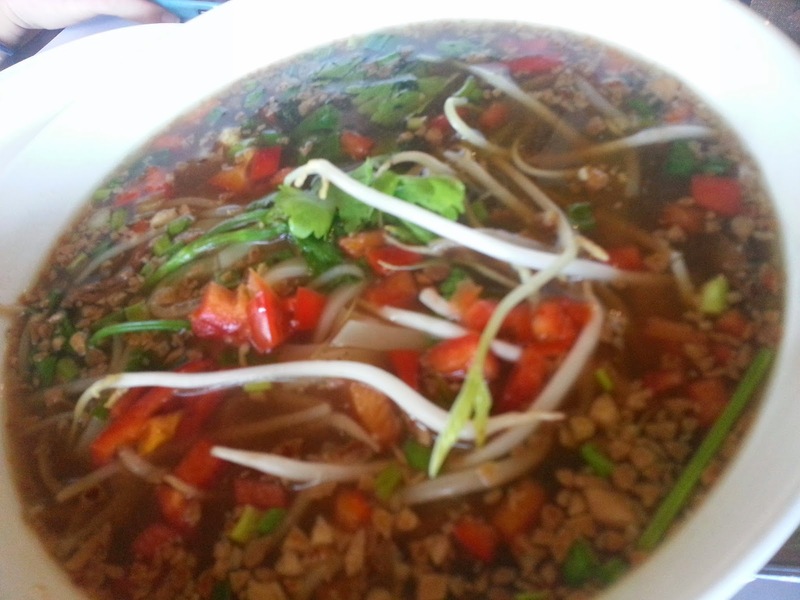 Now, I have eaten at several Thai places so the bar was set pretty high because I believe that I knew my Thai food. The first thing I noticed was the interior. I loved that it was very chic and modern but still had a strong hint of Thai influence as seen with the Buddhist icons. After soaking in the ambience of the place and getting to know the owners, we finally ordered. We started with appetizers but because there were so many choices to choose from, we ended up getting a lot. Take note, these are just appetizers. 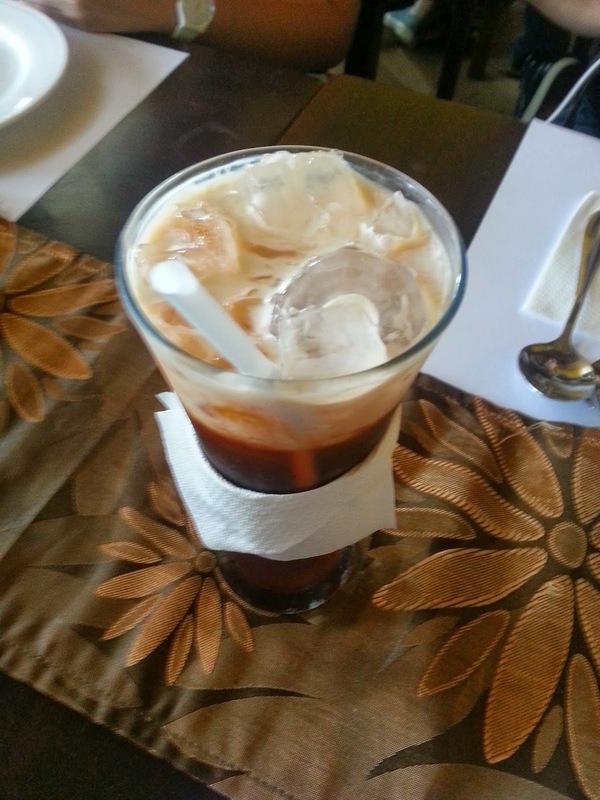 I liked the Iced Coffee because it had a distinct flavor to it. It wasn't too sugary sweet but it also wasn't too bitter. It was coffee with a strong hint of milk. We got this but we requested that it be mildly spicy only since B was with us. The soup was very interesting. 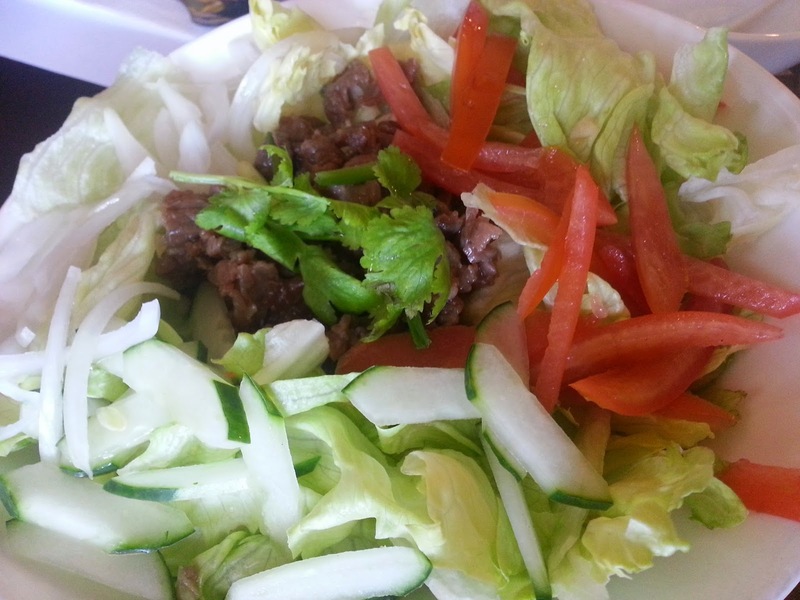 I liked that the veggies were really fresh and that there was an overload of fillings and even beef slices. To be honest, the soup alone was already filling. The little beef tidbits were delicious to munch on and the beef slices were really soft. The soup itself was also quite flavorful. This salad is love. It's almost like those ground beef wrapped in lettuce. YUMMY! I really, really liked this. I actually ate it as wrapped gound beef lettuce and not as a salad. Now if you are looking for something that would be worth every peso you spend, this is the dish for you. I was amazed that it had 5 sticks of big chicken slices. The normal chicken sate I see are so skinny I wondered if they were vying for America's Next Top Sate. For this one, I knew that I was in the right place and that the goal is to feed and not starve customers. 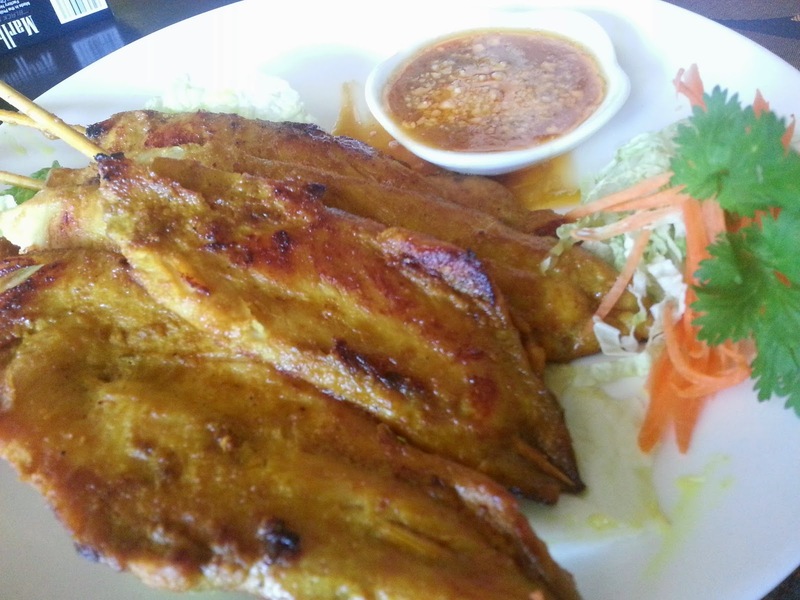 The catfish with green mango salad was a surprise. The name alone did not inspire anything in me but upon havin a bite I realized that I did not give this dish a chance before. It was definitely green mango and it had that sour taste which I am normally not a fan of but for this one, it was tolerable. Yes it still managed to make me squirm but it was a good kind of squirming. 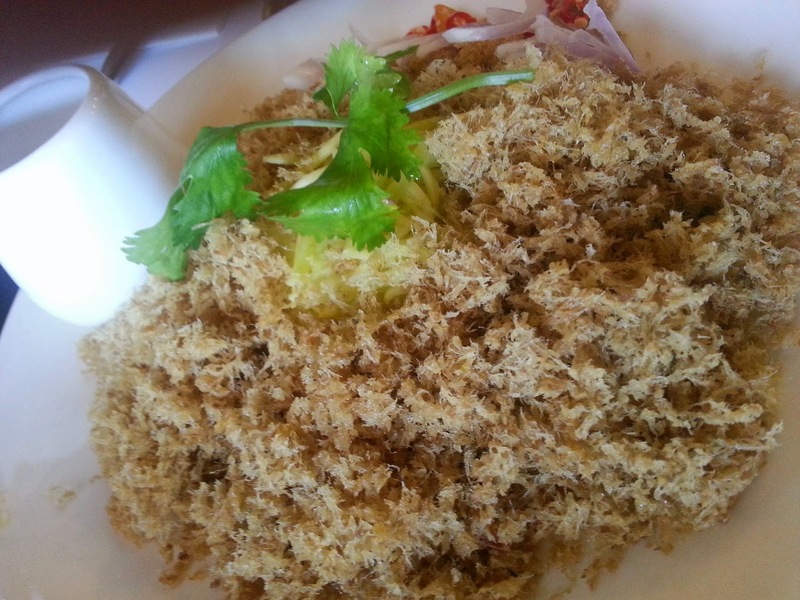 This is another must on my recommendations when eating at Just Thai. It was crispy, it was fresh, and it was simply good. 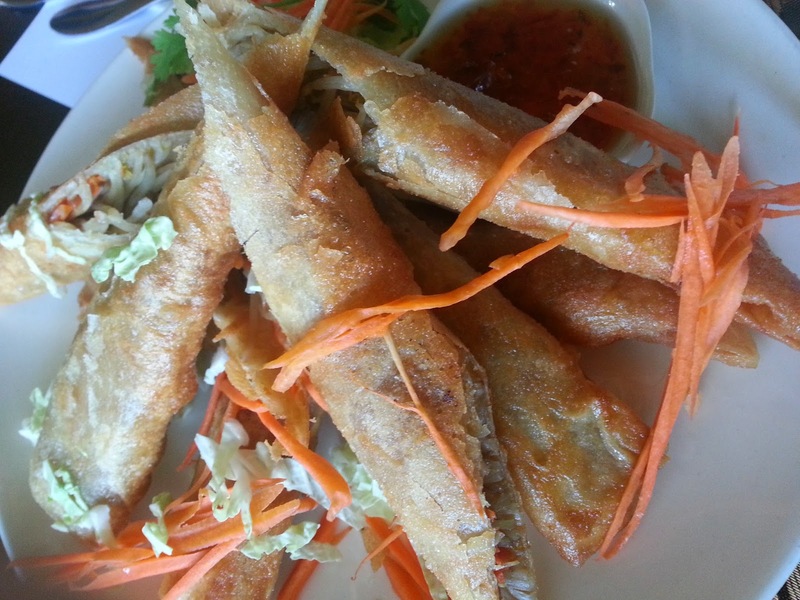 It was what a spring roll should be. It wasn't too elaborate. It was simply good. All I can say is that the appetizers and soup alone of Just Thai is already more than enough to fill you. What more when it comes to their main course?